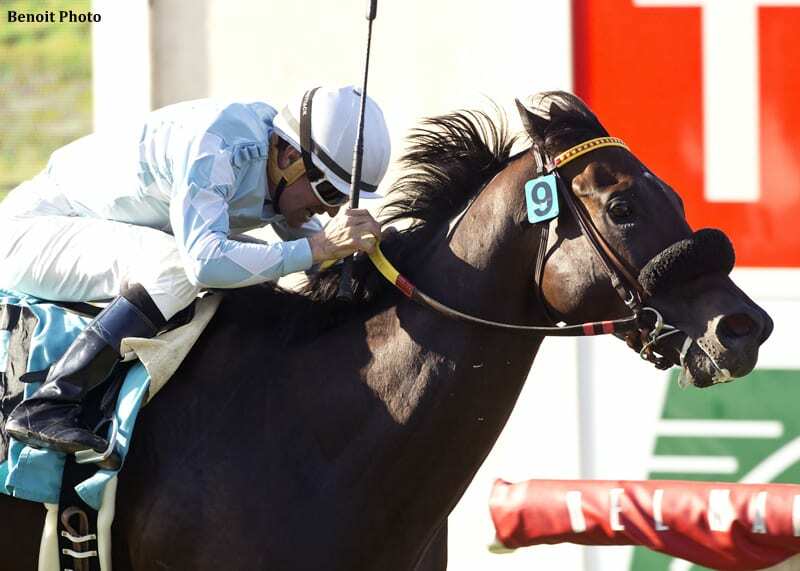 Prospect Park, winner of the Grace 3 La Jolla Handicap at Del Mar, has been retired to stand at Harris Farms in Coalinga, Calif. The horse has been purchased by PVNC Stables LLC in a deal brokered by Chad Schumer of Schumer Bloodstock. Prospect Park retires having won four of 18 starts and $539,770 in earnings for trainer Cliff Sise. A hard-knocking and consistent graded stakes performer in California who was highly regarded from the outset by connections, the son of Tapit enjoyed his finest moment as the wide-margin winner of the La Jolla Handicap. He was also a Santa Anita maiden winner as a 2-year-old and ran placed on ten occasions, notably when second to Dortmund in the G2 San Felipe Stakes while on the Kentucky Derby trail. He was also second in the G2 Los Alamitos Derby and G3 Affirmed Stakes and third in the G2 Del Mar Derby and G2 Californian Stakes. Along the way, he defeated some of the best of his generation, notably Lord Nelson, Om and Bolo. “Prospect Park brings talent, durability and pedigree to the table,” said Chad Schumer. “He was regarded as a Derby prospect by all around him at three but then showed that rare versatility to switch successfully to turf. He is also beautifully bred, being a son of emerging sire of sires Tapit. “As a horse who is well known to a Californian audience, we are anticipating that he will be an excellent fit at Harris Farms. Pamela and Martin Wygod's homebred is out of the Bertrando mare Quiet Romance and therefore a half-brother to G1 Santa Anita Oaks winner Silent Sighs and dual G2 winner Proposed. This entry was posted in Bloodstock and tagged Chad Schumer, cliff sise, harris farms, prospect park, PVNC Stables, schumer bloodstock by Press Release. Bookmark the permalink.